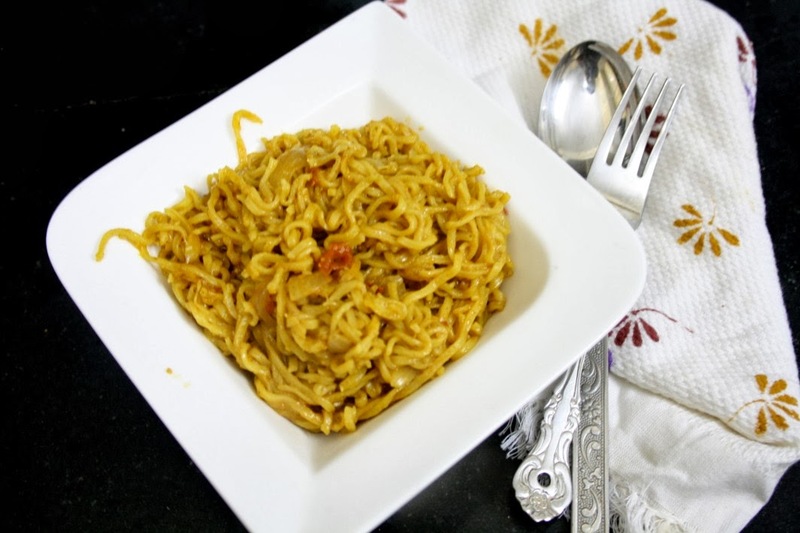 When I was in 7th grade, I remember being introduced to Maggi 2 mins noodles. It wasn't a love at first eat, neither it ended up being an acquired taste. Couple of years later I ended up eating Top Ramen Noodles and that's what I loved eating for a quick bite. Growing up I remember Amma buying both Maggi for rest and Top Ramen for me alone. 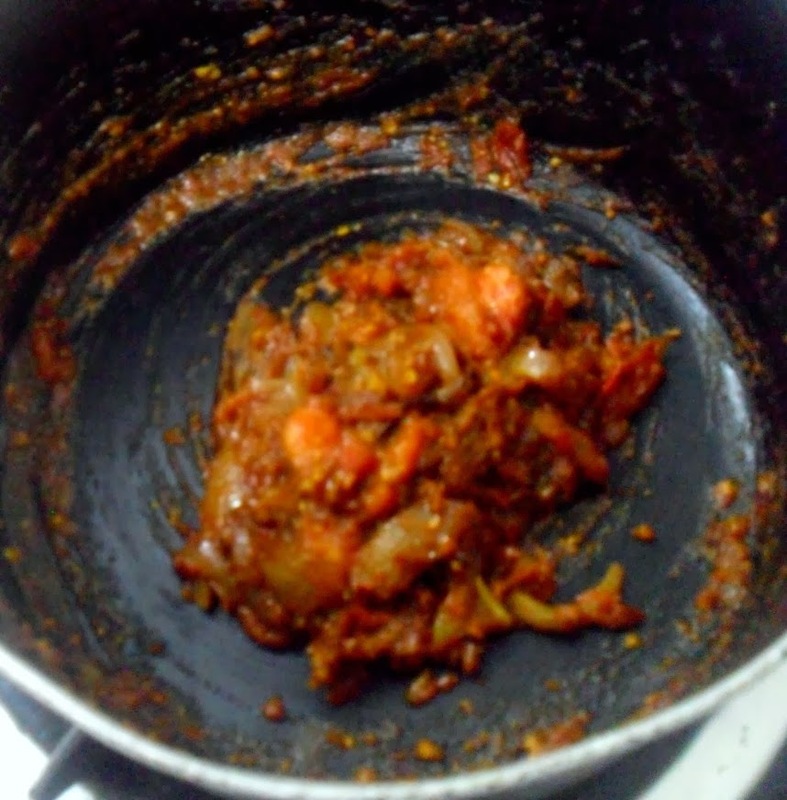 We used to twist it in many ways, added vegetables to get over the guilt of eating Noodles. However since it was occasion treat, it was fine. We even took this for our travels for a dinners. Those were my best memories enjoying in train journeys. 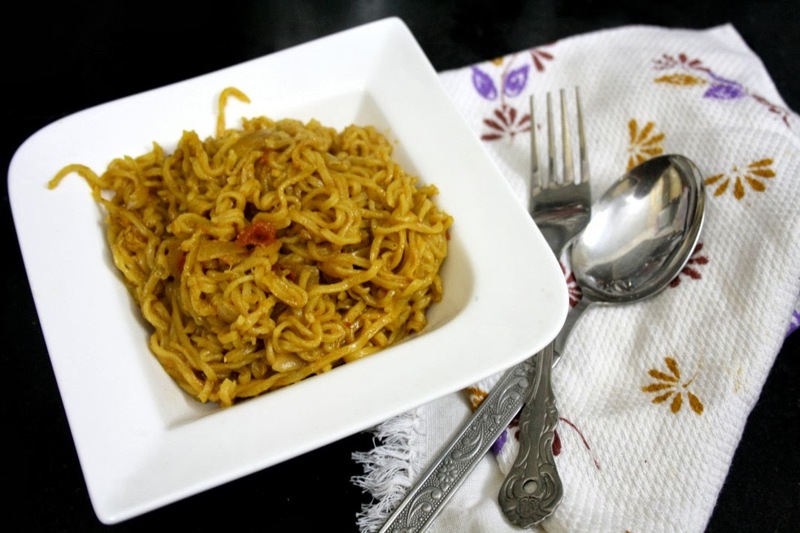 So when I was thinking of what else I enjoyed after coming home from school, I remembered this spiced up noodles, all Indian style! Boys are so crazy of Maggi, that they will do anything when you promise them Maggi and have even got a deal of Saturday dinner as Maggi. 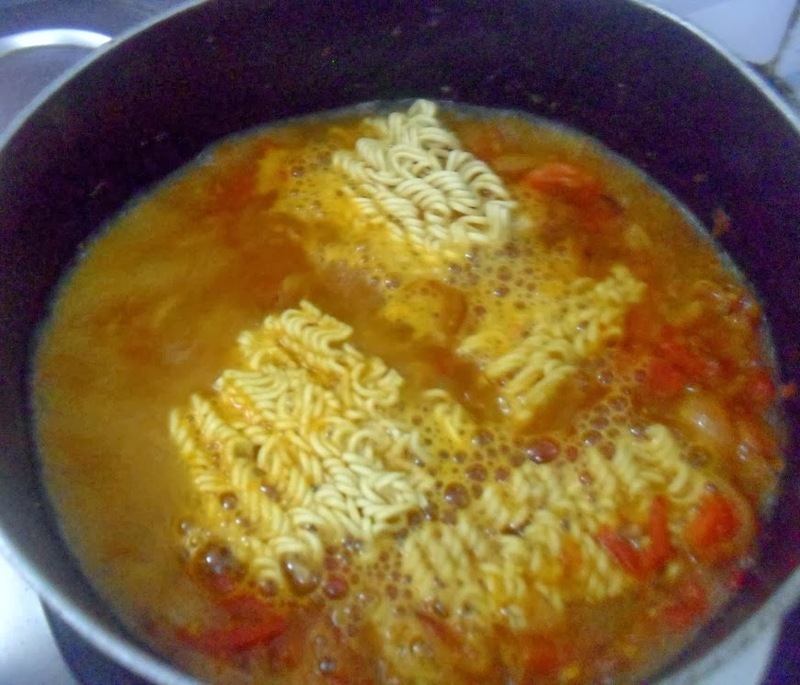 Once when Hubby dear wasn't around I wanted to make Noodles for myself to and made Top Ramen. After the aroma that came out, they were keen on only that. So it's an alternative weeks now. I made this for a change and Konda liked it a lot and I decided I could make it occasionally as well. 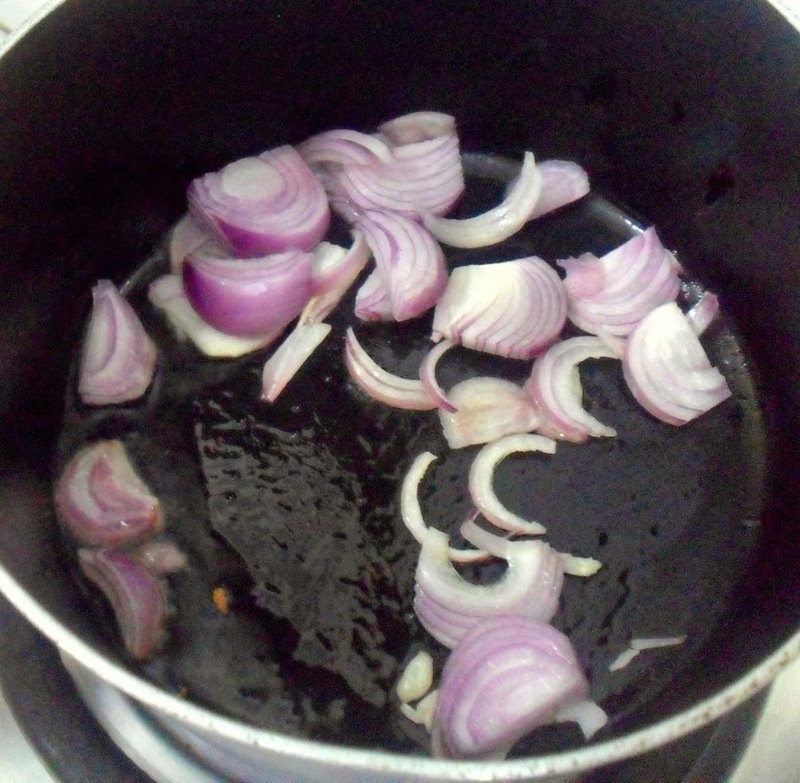 In a pan, heat oil, then saute onion juliennes, till they start turning colour. Then add the tomato juliennes. 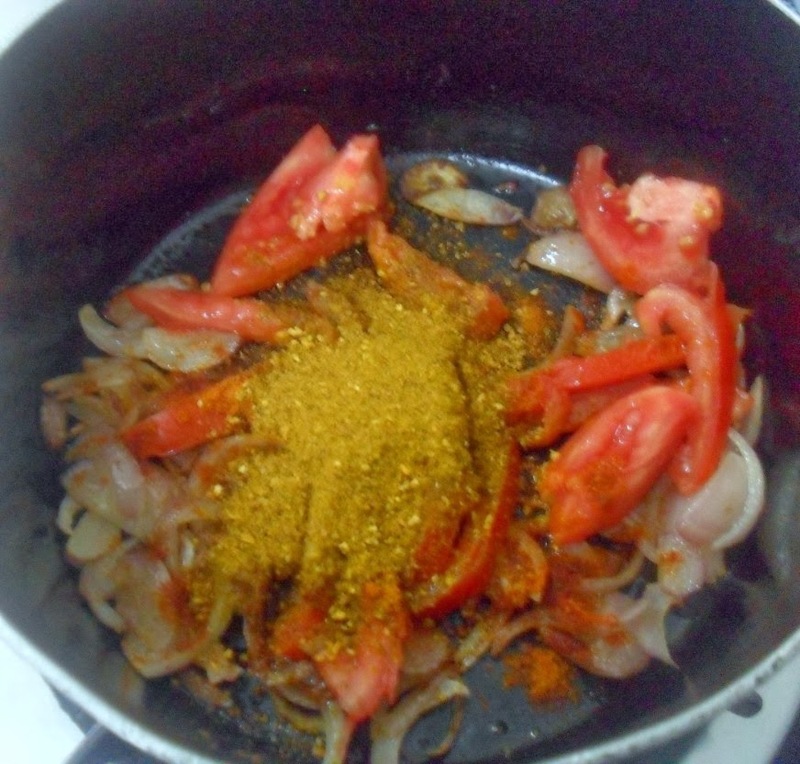 Add the store masala along with red chili powder. Simmer till tomato is sort of mushy but not completely. Now add water and bring to boil. 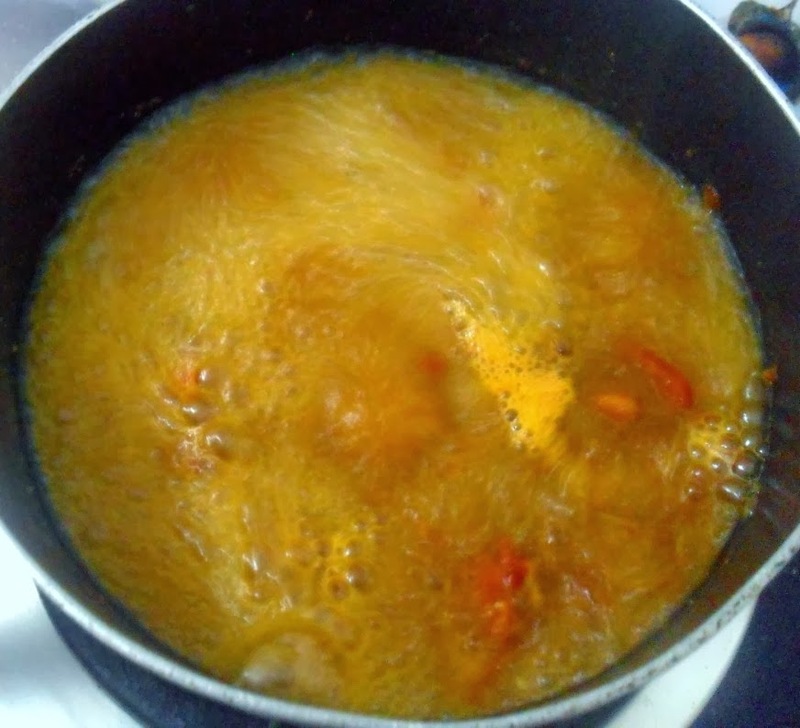 Once it starts boiling, add the noodles, cook for 2 mins/till done. Sending it to Sowmya, who is sharing my Kid's Delight event, themed on After School Snacks.